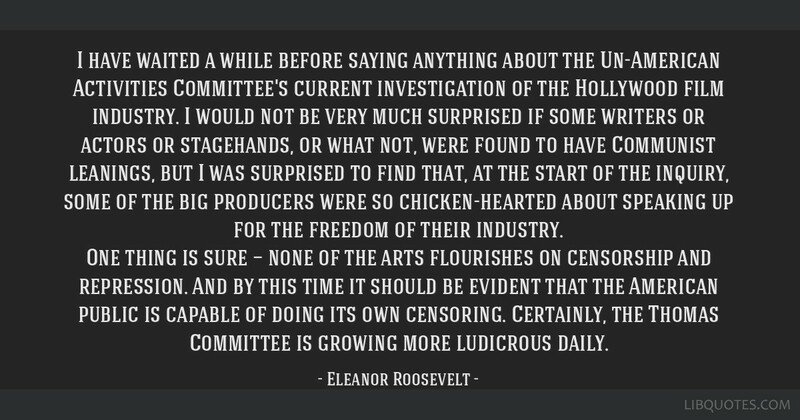 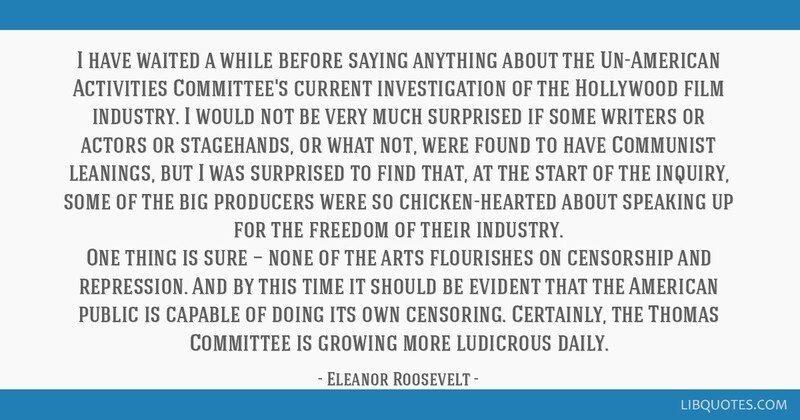 One thing is sure — none of the arts flourishes on censorship and repression. 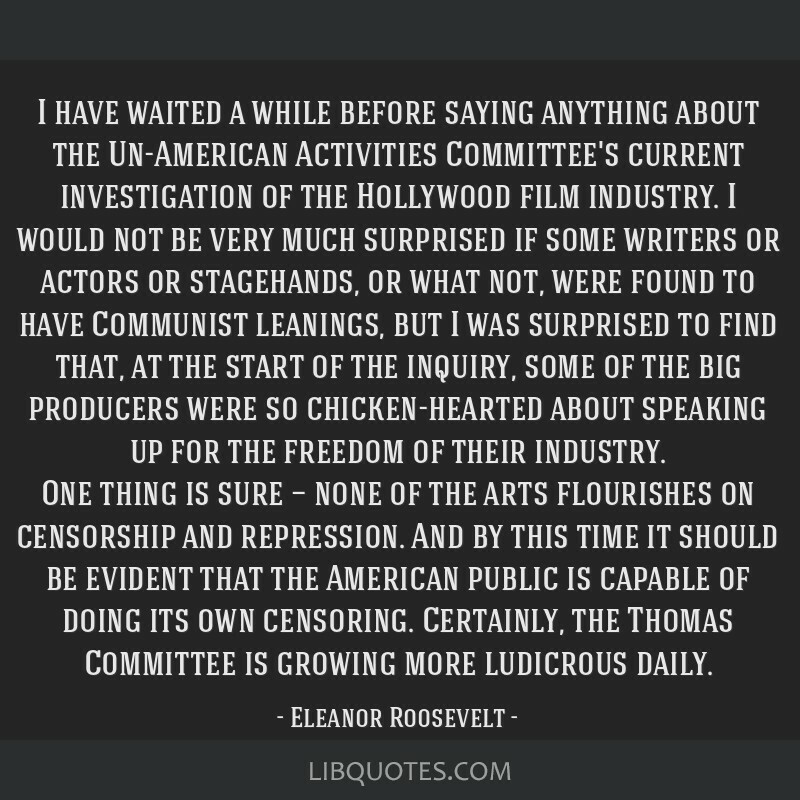 And by this time it should be evident that the American public is capable of doing its own censoring. 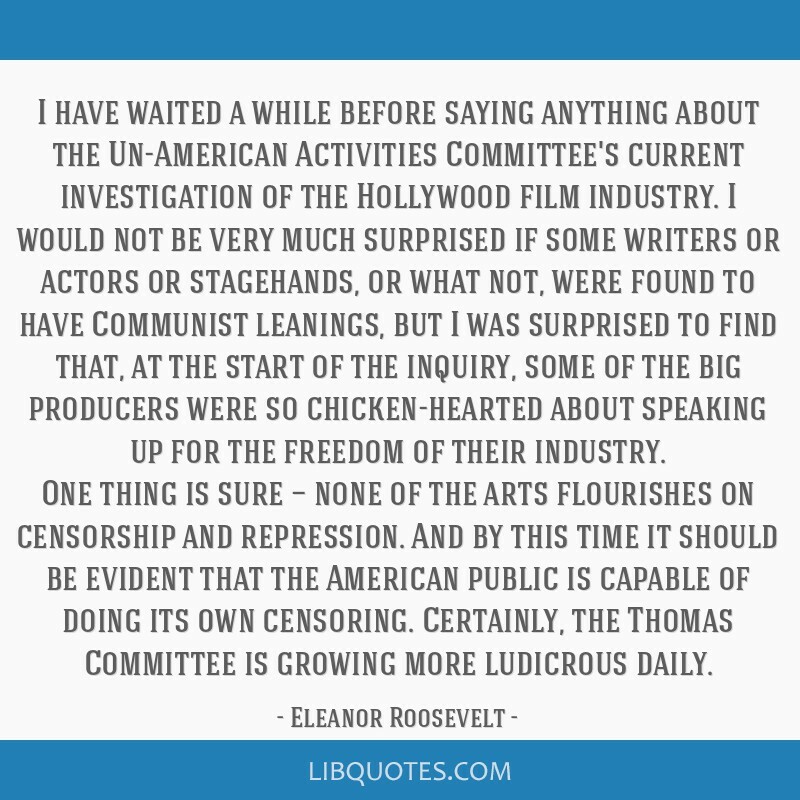 Certainly, the Thomas Committee is growing more ludicrous daily.